Properties in Sci-Tech Center of Northern New York average 4.6 out of 5 stars. 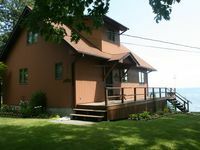 Property 2: Chaumont Bay Lake Lodge off Lake Ontario! Fully renovated Vacation Home Lake Ontario - beach property for you & family!!! Property 9: Fully renovated Vacation Home Lake Ontario - beach property for you & family!!! Cozy cottage on the lake - family and pet friendly! 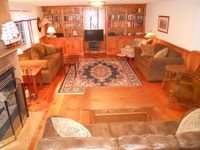 Property 10: Cozy cottage on the lake - family and pet friendly! Property 15: The perfect Nature Get Away! 255 FEET OF WATERFRONT ON BLACK RIVER BAY!! FISHING, BOATING, SWIMMING! Property 21: 255 FEET OF WATERFRONT ON BLACK RIVER BAY!! FISHING, BOATING, SWIMMING! Property 25: Lovely Cottage On Scenic Chaumont Bay, Famous For It’s Fishing. Property 27: WOW! Newly renovated summer house situated on beautiful Lake Ontario. Sit and watch the sun rise with your morning cup of coffee. Property 33: Sit and watch the sun rise with your morning cup of coffee. Watch the sunrise with your morning cup of coffee. Property 34: Watch the sunrise with your morning cup of coffee. Super clean, cozy cottage! Beach, WiFi, Netflix, FirePit, River Access!!! The house was warm and inviting. We had access to the snowmobile trails right behind the house so we did not have to truck them to any parking lots. The only problem we had was when the snow storm hit and the man plowed the driveway, he plowed the wood shed shut and we could not get to the fireplace wood for 3 days. The cottage was comfortable and clean and in a perfect location. We would not hesitate to go back next time we are in the area.